The scrapping of the preserved broad gauge locomotives North Star and Lord of the Isles is without doubt one of the great losses of railway preservation. For some reason, the story, sad enough as it is, comes in for an awful lot of enthusiast rumour, some of the most bizarre of which blames Stanier, who was a very junior manager and not even working at Swindon at the time! Here is what's recorded in the GWR Locomotive, Carriage & Stores Committee Minutes. 19. Mr Churchward reported that the old Broad Gauge Engines "Lord of the Isles" & "North Star" had for many years been stored in a shed at Swindon & that the space occupied by them is much needed. Having regard to the interest attaching to the two Engines, the Committee consider that they might, with advantage, be offered to the South Kensington Museum & they agreed to recommend that an endeavour be made to dispose of them in this manner." 18. Referring to minute No.19 of the 22nd of July 1903 the Locomotive Superintendant reported that the old broad gauge Engines "North Star" and "Lord of the Isles" which occupy much valuable space in the shops at Swindon have been offered to several institutions without success and upon his recommendation the committee approved of the same being broken up." Unhappy as we may be at the loss of the locomotives, it does appear that the Directors who made the final decision were unwilling to cut the locomotives up, and over two years was spent trying to find a permanent home for them. 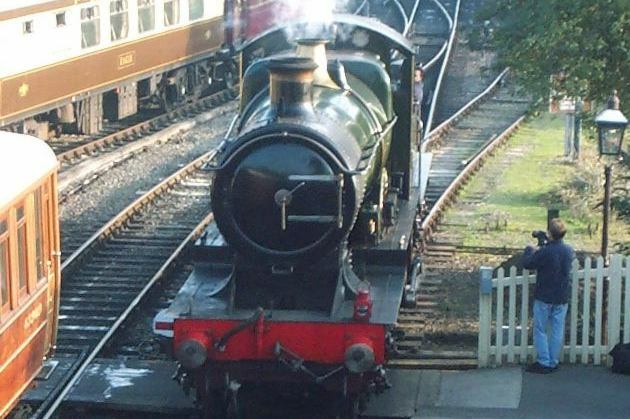 Under circumstances which were represented the Committee approved the presentation, after renovation at a cost not exceeding �65, of the engine "City of Truro" (No 3717) and tender to the London and North Eastern Museum at York, on the understanding they would be returned if required in the future.